Take a look through all the elements involved in the Project [email protected] transformation. 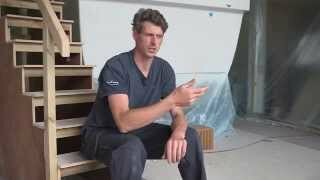 As we utilise new techniques to bring this classic boat back to life, you’ll be able to find out how we are using resin infusion (a process used to mould today’s craft) as well as the Princess Design Studio’s creative vision for the boat’s interior. The 1960s gingham laminate dining table has been replaced with an intricate timber veneer design which will be hand-laid by Leeuwenburgh Veneer. To complement the design a new table leg was hand-crafted from a solid piece of hardwood by one of Princess' expert carpenters. Textiles experts, Plymouth based Lang and Potter, have brought to life the upholstery designs from the Princess Design Studio. Hand-stitched quilting to the forward bulkheads, 1960s inspired fluting and embroidered detailing complete the luxurious finish. Beautiful hand-turned polished stainless-steel door knobs and bathroom accessories from one of the world's foremost producers of design led architectural hardware, Turnstyle Designs, have been used throughout the yachts interior finished with a beautiful leather accent in a 1960’s inspired blue. Blue Fin Yachts have helped us add the final flourish to the stunning exterior finish with the addition of an aqua water line to complement the exterior styling in the cockpit. Stunning materials including the bright red interior upholstery, striking basket weave to the alcove recesses and aqua blue exterior fabrics from Dedar have transformed the interior of Project [email protected], Charlotte. The original Volvo Penta control panel has been given a new lease of life with the support of Applied Marine Automation. The panel has been restored back to its former glory with new retro cream faced gauges to complement her stunning new interior. Meet the faces behind Project [email protected] from those who are lovingly restoring our 1968 model to those who have shared their memories of the company’s first boat. Will has completed nearly 10 years service with Princess, most recently as engineer on the new Princess 30M - the latest Princess M Class which will mark the entry point to the fleet. He will be drawing upon his vast experience to refit and reengineer Project [email protected] to the highest standard. Callum is a 3rd year Apprentice Engineer who will be working under the mentorship of Project [email protected]'s lead engineer Will Staddon to bring new life back to the boat. Callum has been developing his skills working on the latest M Class development - the new Princess 35M. He follows in the footsteps of his father who is an engineer at Princess. Having been a part of the original Project 31 build crew Peter has returned to share his experiences with the Project [email protected] team. Peter went on to enjoy a career at Princess that spanned over three decades, eventually managing the company's shipyard at Lee Mill before his retirement at 65. Roger has completed over 25 years of service within Princess. Since joining in the woodworking department he has experienced different areas of the business and is today the CAD (Computed Aided Design) Technician working within the Development Mock-up Team. Roger is lending his skills to Project [email protected] to support her restoration and bring her into the digital era. Use the slider to follow Project [email protected]’s weekly progress, from the full rip out to the finished result. Pictures will be added weekly so you will need to check back regularly for updates. Take a virtual tour of Project [email protected] after her stunning transformation. Project 31 was the original success story behind Princess Yachts International. The boat was fitted out for charter. The boat was sold marking the beginning of a successful shipyard. Marine Projects (Plymouth) Ltd was founded on 1965 by David King and two friends. Over 150 Project 31 were produced and sold between 1966 and 1969. Following the success of Project 31, in 1970 Marine Projects ventured into GRP moulding and produced the Princess 32 with more than 1,200 sold. One of the most successful models in the company's history. 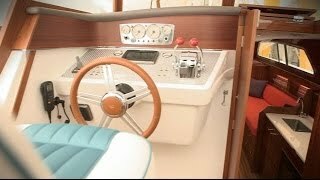 In 1974 the Princess 37 was launched at the London Boat Show following the appointment of John Bennett who designed two new models (including the 37) to compliment the Princess 32. Launched in 1980 the Princess 30DS was the first in a new generation of designs by Bernard Olesinski with over 500 sold between 1981 and 1989. It was the beginning of a design relationship that continues to the present day. In 198 the Princess 45 was introduced, a landmark design and at the time the largest production motor yacht in the UK. Over 400 were sold in 9 years when it was replaced by the Princess 455. In the 1988 the Company was awarded the Queen’s Export award. HRH Prince Philip presented the award to David King. In 1994 the first V Class sports yachts were developed, V39 and V52, laying the foundation for the range of high performance yachts. New purpose built headquarters were opened at Newport Street, Plymouth in 1997. A new site at Coypool, Plymouth was also acquired and an extensions added to the manufacturing facilities at Langage, Plymouth. Today Princess Yachts shipyards span over 1,100,000 square feet. The new flagship Princess 95 Motor Yacht was launched in 2007. In 2009 Princess acquire a new site, South Yard, on a long term lease from the Ministry of Defence (MOD) for the development of the M Class superyachts. The company was later granted the freehold in 2011. Princess launch the first model from the M Class range, the Princess 32M, at 2011 London Boat Show. 2012 was a landmark which saw the launches of the smallest craft produced by the Company in over a decade, the second generation Princess V39, and the largest vessel the company has ever built, the Princess 40M. Princess launches the first of a new class of yacht, the Princess S72 S Class Sportbridge yacht in 2014. Princess launched largest vessel the company has ever built in 2012, the Princess 40M. The 40M, a 132-foot superyacht, also made history as the biggest composite motor yacht ever to be built in Britain and went on to win a prestigious World Superyacht Award. Princess celebrate 50 years at the forefront of motor yacht manufacture. Today the company is recognised as one of the world leaders in the boat building industry, manufacturing a range of over 20 M Class superyachts, Flybridge motor yachts, V Class sports yachts and S Class Sportbridge yachts ranging from 39 to 132ft with a network of over 50 distributors worldwide. Project [email protected] makes her official debut at the Cannes Yachting Festival. A few of the experts behind the transformation of Project [email protected] share their experiences of restoring this icon of Princess history. 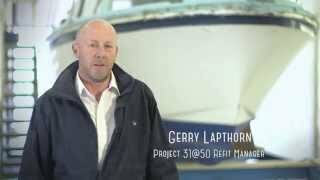 We are pleased to share a first look behind the scenes of Project [email protected] with refit manager Gerry Lapthorn. A glance into the latest project from Princess Yachts International. Relive the highlights over the course of Princess Yachts' 50 year history. The official UK debut of Project [email protected] at ExCeL London. Project [email protected] show debut at the Düsseldorf Boat Show. Join us for the Asia Pacific premiere of Project [email protected] in Singapore. Project [email protected] to make her Hong Kong debut at the Gold Coast Boat Show. Do you have a favourite Princess Yachts Moment? I have owned by 1968 Project 31 since 1994. This year I have spent 75 day on board, journeying down the Rhine in Germany to the Netherlands and back. I'm very exited to see that you are restoring the Project 31. I'm from Holland and i am working on the same boat. We bought our 1971 Project 31, TAURA, three years ago as a restoration project. She hadn't run or moved for some years but we have now refurbished both Perkins 4.107 engines. We had to run the engines in for each new boat. I used to be a fisherman so when we were cruising I would catch mackerel off the back of the boat to bring back to the team. It was a happy family at Marine Projects - lots of laughter but getting the job done was the most important thing. Everyone all mucked in together. The Pilgrim 30 was way before its time. We took one to the Chicago Boat Show which sold straight away. We could not build the Project 31s fast enough – as soon as you had built one there was someone at the door waiting to buy it. We've come a long way in 50 years. Discover our current range of high-performance motor yachts from 39-130 feet. A cookie is a small file, typically of letters and numbers, stored on to your computer or mobile device which allow the originating website to recognise a user's device. Cookies are commonly used by websites in order to store things such as preferences and to learn what interests users. We only use essential cookies and anonymous web analytics cookies, provided by Google, Inc, in order evaluate how visitors use out site to help us provide you with a better online experience. This information is used for internal purposes only and we do not collect any personal data. To achieve this we have followed a number of key guidelines, particularly the Web Content Accessibility Guidelines as recommended by the World Wide Web Consortium. The following information details how to use this site and what measures we have put in place to make it as accessible as possible. Windows PC - Hold down the 'Ctrl' key and use the + and - keys on the numeric keypad. The following browsers support this method: Internet Explorer 7+, Firefox, Google Chrome. Apple Mac - Hold down the 'Apple' key and use the + and - keys on the numeric keypad. The following browsers support this method: Safari, Firefox, Google Chrome. The layout, colours and any decorative graphical elements used in this site are controlled by stylesheets. By controlling the content in this way users can disable the style sheets to view the basic site content. All content is designed to work and display in a useable way when style sheets are disabled, defaulting the text content to black on a white background. Most browsers allow users to apply their own custom settings and/or style sheets to pages. All pages in this site work with custom stylesheets. For more information on applying your own stylesheets please refer to your browsers help files. We have put a lot of thought into the structure of the pages on this site to make them easily readable by common screen readers such as Jaws and WindowEyes. Measures implemented in this site include; written descriptions for all images, page text hierarchy correctly marked up, all menus included as lists, tables are not used for layout purposes, all form elements are labeled and all text links make sense when taken out of context. If you are having trouble using this site or have any questions regarding accessibility issues please contact us at [email protected].